For every friend who swears a ski trip is the ultimate holiday experience, there’s another with a horror story involving broken bones, ski lift faux pas and a whole lot of tears. It’s true that skiing holidays aren’t without their risks. And no-one wants their relaxing alpine break to end with a trip to the hospital. However, there are ways to dodge the common mistakes that can lead to disaster. We’ve got years of skiing experience under our belts, so we know a thing or two about holiday mishaps. Here’s how to avoid a nightmare experience when skiing this year. First things first, when planning a ski trip, you need to think about dates. Arriving at one of the most popular European ski resorts at the height of ski season or during the Easter school holidays could be a recipe for disaster for some. If you’re hoping for a relaxing break away from the crowds, queuing for the ski lifts and battling past groups of revellers in the local bars could be your worst nightmare. Instead, consider booking your holiday outside of peak times. This way, flights are guaranteed to be cheaper and you won’t be jostling for space on the slopes. Booking midweek could even save you up to 50% on your ski transfer! If you’re thinking about travelling with ski equipment, it’s worth checking your airline’s baggage policy before you travel to avoid any costly nightmares. Many budget airlines are tight on baggage allowance and don’t allow ski equipment as part of your regular hold luggage. If you turn up with heavy skis and snowboards, you could be met with hefty added charges. A nightmare if you’re hoping for a budget break! To sidestep this problem, why not leave your skis at our depot? The Alps2Alps ski storage service is here to keep your ski equipment safe and well maintained until your next season. Simply drop your skis off at the end of your trip and collect them at your convenience. It’s even free for our transfer customers! The later you leave your packing, the more stressed you’ll be, and the more likely you’ll leave something vital behind. Start by making a list of the essentials and add anything else you might want on your holiday. This way, you can tick everything off as it goes in the suitcase. Arriving at your resort to find you’ve forgotten little Alfie’s inhaler or even your favourite pair of goggles is a disaster you want to avoid. The race to the airport to reach your waiting sweetheart just in time for take-off may look exciting in films, but in reality it’s just stressful. In the real world, departure gates are usually closed at least thirty minutes before take-off and leaving it to the last minute is never a good idea. 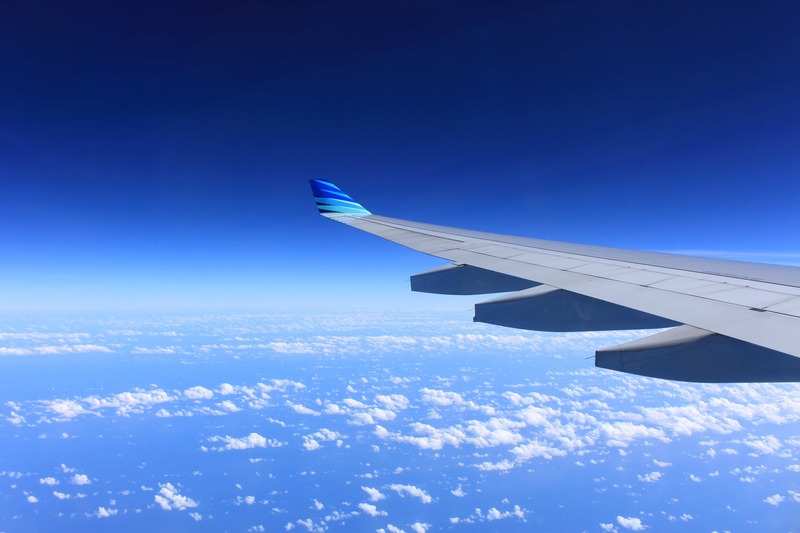 Missing your flight is an expensive mistake to make and can have repercussions on the other side. To sidestep this nightmare, make sure you have all your travel information in one place so you don’t forget what time you need to leave. Set an alarm on your phone and leave with plenty of time to spare. To take the stress off your shoulders, booking a transfer to the airport from your ski resort is a good idea, especially if you’re prone to scattiness. The Alps2Alps transfer drivers will factor traffic and weather conditions into your journey time to make sure you get to the airport in time for your return flight. You can even track their progress in real time and notify us of any changes straight from your phone with our handy new app! Well-fitting ski clothing is important for your safety on the slopes. If your ski boots are too big, it could impact your skiing and cause accidents. Likewise, if your skis or board aren’t suited to your level or ski style, it could cause you problems. Make sure you get fitted by an experienced ski technician when buying or renting your skis and snowboards so you don’t return home in a plaster cast. At the Alps2Alps ski rental shops, we have experienced ski technicians on hand to fit you with the ideal equipment for your needs. If you’re travelling as a family, kids ski equipment is free with a full paying adult! Now there’s no excuse to get properly fitted. This one’s for beginners especially, but even for experienced skiers, a few warm up lessons won’t hurt. Ensuring you’ve got the basic technique down is one of the best ways to protect yourself against injuries and accidents. It’s not just broken bones we’re talking about. Skiing novices going it alone risk embarrassing themselves on the slopes with their poor technique. If being judged by seasoned skiers is your idea of a nightmare, take note! Make sure you pick a reputable ski school with qualified ski instructors to make the most out of your ski lessons. Using a ski lift is often the aspect of a ski holiday that fills novice skiers with dread. Although they can look scary, ski lifts are simpler to use than they look. Different types of lifts are easier to handle than others. Chairlifts are probably the most common type of lift. 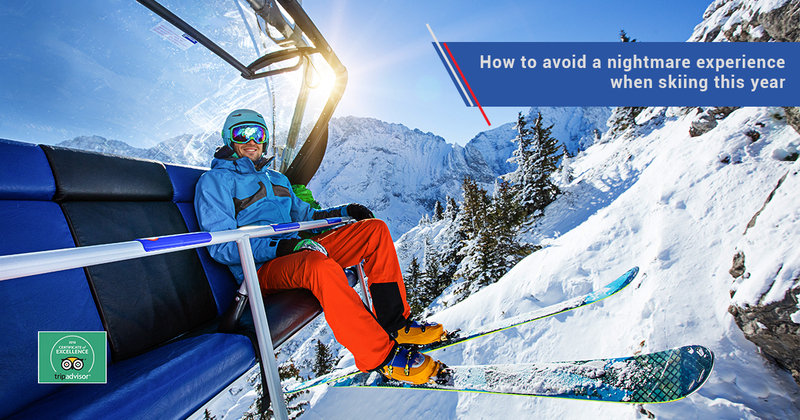 Whatever you do, make sure you jump off at the right time to avoid a ski lift disaster! It may look alarming, but trust us, taking the plunge and falling is less embarrassing than causing the entire lift to stop to get you down. One thing to remember is not to click your skis together when you’re in the air. Losing a ski at this stage is not ideal, and depending on where you are, it may not be retrievable! Another related warning is be careful using your phone whilst on the lift. Although it’s tempting to take a group photo and capture the fun, dropping your phone over the side will definitely put a dampener on things. If you can’t resist the pull of social media, we recommend investing in a selfie stick to keep your phone secure and capture all the angles! Top Tip: Don’t get too close to the person in front in the lift line! One of the first rules of ski lift etiquette. Give people space. If you’re relatively new to skiing, a common mistake is to try and run before you can walk. 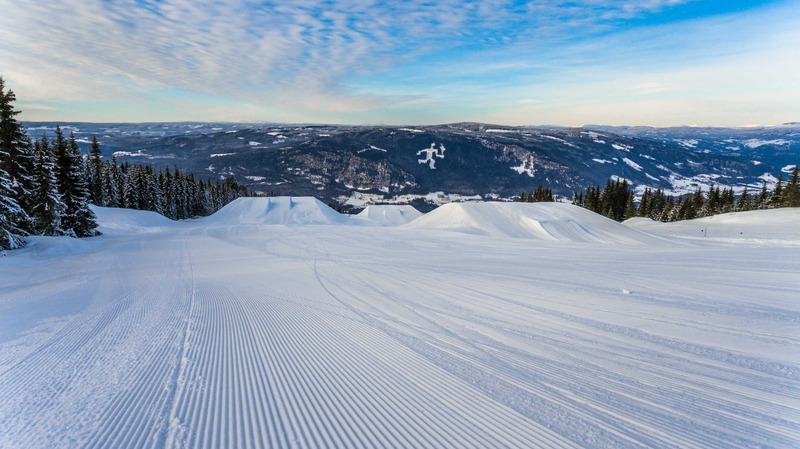 After a few productive lessons and confidence flying high, it’s tempting to try your luck at the intriguing black runs. Attempting difficult runs too soon is a sure-fire way to get yourself into difficulties. Don’t try and impress your friends by bombing it down the mountain before you’re ready. After all, good things come to those who wait! If you turn up to the ski area after mid-morning, you’re likely to be met with slushy ski runs and long queues for the lifts. As the slopes are groomed overnight, the best snow is found first thing. If you’re looking for a good time on the slopes, disappointing snow is a disaster you want to avoid at all costs! We’re sure you’ll want to make the most of the aprés ski scene at your resort. A few relaxed drinks in the afternoon or a traditional dinner out with friends is a great way to spend an evening without impacting too much on your sleep. However. If you decide to go out partying until 4am, you’re skiing is going to suffer. While ten rounds of tequila shots may seem like a fantastic idea at the time, we can assure you it won’t feel like it when you wake up at 11am the next day with a banging headache, minus your passport. A wild night out has been the downfall of many an over enthusiastic skier. If you’re here for the ski, stick to the soft drinks. Scams targeting oblivious tourists can be the scourge of the holiday industry. Even the most savvy among us can get caught out from time to time. To avoid highly inflated taxi fares at the airport, it’s worth pre-booking a ski transfer from the airport to be on the safe side. Alps2Alps are experts at providing cost-effective ski transfers at bargain prices. Our friendly, English speaking drivers are qualified to get you to your ski resort safely in one piece. Make sure this year’s ski holiday is the dream you hoped for, and not a nightmare to be forgotten! Book your ski transfer with Alps2Alps to enjoy exclusive discounts.